The Arabian Peninsula has been trapped in a time warp for nearly a century, thanks to the House of Saud and indomitable Western support. July 15, 2015 (Tony Cartalucci - NEO) - Some may find it curious, browsing the US State Department's National Endowment for Democracy (NED) website, reviewing the unending lists of faux-NGOs special interests in the West have propped up across the planet to project influence and political meddling into every corner of the planet under the pretense of supporting "freedom and democracy," to discover this meddling extends to nearly all nations except a select few. 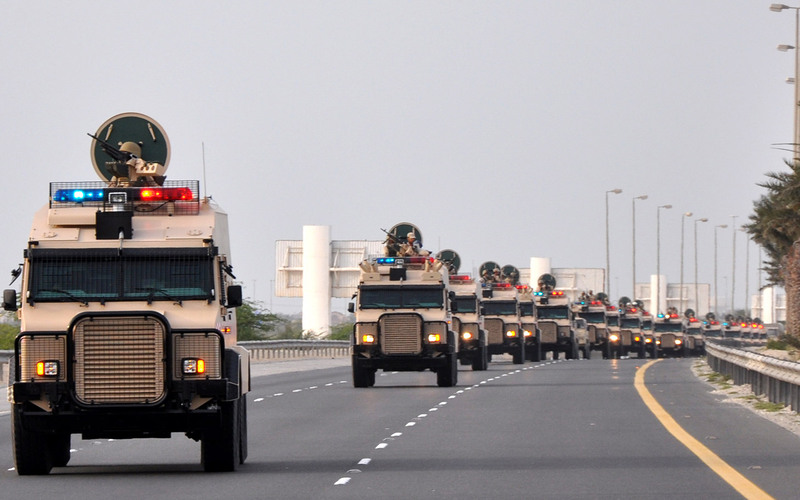 Image: Saudi troops move into Bahrain to crackdown on demonstrations there against the also-autocratic regime in power. While the West actively supported and even intervened on behalf of militant mobs across the MENA region seeking regime change, it not only failed to condemn the Saudis in their bid to crush dissent, but actively assisted. One of these blind spots includes Saudi Arabia. In fact, under the category "Middle East and North Africa" (MENA), Saudi Arabia isn't even listed. 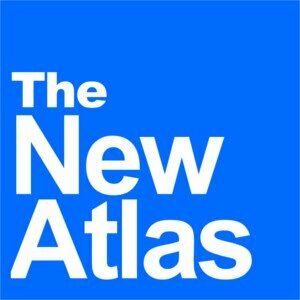 NED-funded NGOs attempt to leverage every noble cause conceived by human empathy, from representative governance, to the rights of women and children, from behind which to hide their true agenda of political meddling, undermining local institutions, and the overwriting of a nation's sociocultural landscape. Yet, it would seem, even this farce has its limits, which begin at the borders of favored client-states including Saudi Arabia. It would seem, were NED a genuine sponsor of such causes, Saudi Arabia would have attracted special attention. It is literally a nation where women do not exist as human beings legally or socially, unable to even drive, and were Saudi Arabia to have anything resembling actual elections, unable to vote as well. The lack of any semblance of representative governance is another aspect one might expect the National Endowment for Democracy to find issue with. Yet it doesn't. This transparent, obvious hypocrisy exposes the entirety of NED's work for what it is - meddling behind an elaborate facade of defending freedom, democracy, and human rights. But beyond this intentional blind spot the self-proclaimed arbiters of global freedom and democracy have created for the autocratic, brutal regime of Saudi Arabia to hide within, we find more than just silent approval, we find also active, even eager complicity. The entirety of Saudi Arabia's security apparatus, both internal and military, has been created and propped up by the West through billions upon billions of dollars in aid, weapon sales, and direct military cooperation and support. This includes the immense 60 billion USD arms deal signed between Riyadh and Washington, the largest arms deal in US history. This says nothing of covert operations the West, including the United States and United Kingdom, have been carrying out throughout the MENA region with Saudi Arabia as the chief proxy and local facilitator. Saudi Arabia is ruled by an unelected, hereditary dictatorship. In fact, so autocratic is Saudi Arabia, the nation is literally named after the single family that has ruled it since it was created - the House of Saud - or "Saud's Arabia." While Western NGOs fund to the tune of millions per year activists around the world agitating political instability in nations like Thailand, claiming that the constitutional monarchy there is some sort of impediment to "democracy," the fact that a single family has ruled Saudi Arabia uninterrupted for decades, even naming the country after the family who rules it unopposed without even the semblance of elections or representative governance, seems to be more than acceptable. To remain in power for decades, the House of Saud has instituted an extensive and barbaric punitive system which includes public beheadings for everyone from "witches and heretics" to enemies of the state. What is considered as intolerable barbarity in Syria or Iraq when Al Qaeda beheads prisoners of war or local civilians to impose their rule on seized territory, is just another day at "Chop-Chop Square" in Riyadh. In the capital Riyadh, public executions take place in the central Deera square, usually at 9am. The wide ochre square has been grimly dubbed "chop chop square" has seen dozens of condemned men and women put to death in recent years. "When they [death row prisoners] get to the execution square, their strength drains away. Then I read the execution order, and at a signal I cut the prisoner's head off," al-Beshi said. 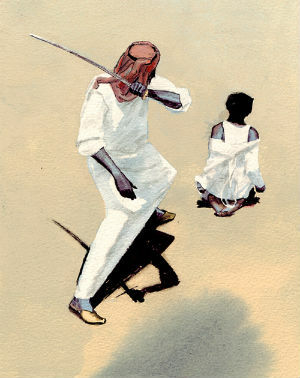 According to Human Rights Watch, from January to September 2012, at least 69 people were executed in Saudi Arabia. 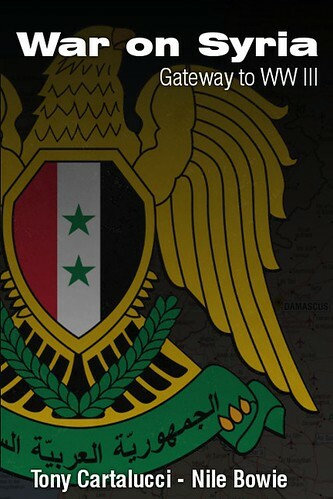 Another 10 beheadings have been reported in just the first six weeks of 2013. Beheadings are imposed mainly for murder or drug offences, but cases of apostasy (renunciation of one's faith), sorcery and witchcraft can also end up in Chop Chop square. Indeed a man named Muri' al-'Asiri was executed last year in the southern town of Najran, as punishment for being a sorcerer. The parallels between Al Qaeda and Saudi Arabia are no coincidence. Al Qaeda and the subsequent "Islamic State" (ISIS) it has created, straddling Syria and Iraq and spreading across the rest of the MENA region in fact finds its genesis and chief patrons in Riyadh. The West props up Riyadh, and Riyadh props up a regional army of mercenaries waging relentless war on Washington and Wall Street's enemies throughout MENA. A torrent of supplies brought in by literal convoys of trucks even streams into the war zone via NATO territory. ISIS can in fact be considered a "colony" of Riyadh, and a reflection of the depravity actively encouraged by the West on the Arabian Peninsula for decades. A barbaric autocracy lopping the heads off its own citizens while creating colonies of terrorism across the globe through direct support of marching terrorist armies and a global network of madrases promoting the state-cult of Saudi Arabia, Wahhabism, under the guise of Sunni Islam would seem like one of the West's greatest threats. Yet in most cases, particularly when these Saudi-sponsored madrases are established in Europe or North America, national intelligence and law enforcement agencies, including the FBI, the CIA, MI5, and MI6 actively participate in the cultivating, exploitation, and entrapment of radicals created within. Never is it attempted to expose and dismantle these networks, and instead, an intentional strategy of tension is created around these rat nests of extremism to promote hysteria, division, and further fan the flames of fear at home, while justifying perpetual war abroad. Considering this, it is clear why Saudi Arabia is not only pardoned for its inhumanity and criminality, but encouraged and enabled by special interests in the West. These interests are able to manipulate and terrorize their population at home, justify the creation and enlargement of domestic surveillance networks, and justify the use of military force abroad in campaigns of hegemonic conquest predicated on "national defense" against "terrorism" they and their allies have themselves created to begin with. Image: Saudi Arabia wages relentless war against Yemen with absolute impunity - even complicity and support from the so-called "international community" comprised of Wall Street, Washington, London, Brussels, and the myriad of faux-international institutions they have created to lend legitimacy to their otherwise illegitimate, unwarranted power and influence. 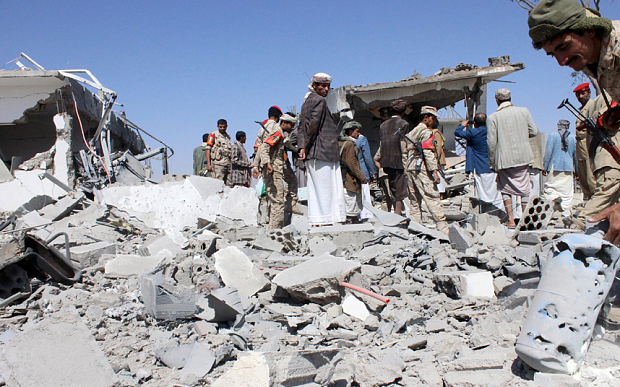 When Saudi Arabia began airstrikes on neighboring Yemen, we saw once again not only the United States, United Kingdom, and the European Union fail to protest the extraterritorial aggression, but the United Nations itself also failed to condemn or act in response. Furthermore, Western support for Saudi military aggression has continued unabated regardless of the atrocities and deaths unfolding in Yemen. And while it can safely be said that Al Qaeda is a reflection of Saudi Arabia, it can also be safely stated that Saudi Arabia, its barbarism and regional crimes against humanity, its state-sponsorship of global terrorism, and even the ideology it actively promotes worldwide that serves as the foundation global terrorism is inspired from, is a reflection in turn of the depravity of the special interests ruling Wall Street, Washington and their Transatlantic counterparts in London and Brussels. Understanding the special accommodations made by the West for perhaps the most barbaric nation on Earth, amid disingenuous bleating about "Iran," "North Korea," "Russia," "China," and other enemies of Western hegemony, exposes the emptiness of Western principles - or more accurately - the emptiness of those hiding behind them.